Architect Dalia Sadany, the creative mind behind Trend Micro’s flagship office in Egypt, has won a prestigious A' Design Award and Competition, in the interior space and exhibition design category. As the world’s largest design competition, A’ Design honours the best designs, design concepts, products and services around the globe. Trend Micro, a global leader in cybersecurity solutions headquartered in Japan, is located in the Greek Campus of the American University of Cairo, in an area that houses some of the most prestigious buildings in downtown Cairo. The Trend Micro office was designed to be more than just a functional office space as it also acts as a training center for recent university graduates. The essence of the design was to combine functionality and the energetic influence required for the educational hub, while reflecting Trend Micro’s position as a global technology company. The building itself is a very distinctive, bold, industrial, utilitarian structure, with metal Islamic-influenced window covers. It also has an elaborate and abstract version of the traditional lattice-work “Mashrabeyia,” all combining to craft an iconic look, said the company in a statement. The new office also blends the landscape, intentionally bringing the outdoors inside to make people using the place feel that they are very close to nature to break the traditional feeling of being inside an office. Designs were also intentional, allowing the water for the irrigation system to be heard, thus accentuating the effect of nature to the auditory and visual senses, it stated. “Trend Micro’s commitment to Egypt goes beyond supporting its customers and fighting cybercriminals to make the world safer to exchange digital information. With our student program, we are investing in the future of the country, and we aim to positively influence the coming generations,” remarked Keith Foster, senior director of Strategic Projects for Trend Micro. "To attract talent, we believe the right working environment is important too. Working with Sadany has been an absolute delight. She has created a perfect environment for Trend Micro, and for the students. From the beginning, she understood our needs, and saw the importance of a project close to the heart of everyone involved," Foster remarked. "She has created an iconic office for us, and something that has opened a new chapter for Trend Micro," he added. On winning the award, Sadany said: "As an architect and a designer, I seek perfection, and this project is very close to my heart as I knew that my designs would affect the students and could change their way of thinking about educational premises." "They all deserve that kind of architectural attention to their mental welfare as it will eventually reflect on their future. 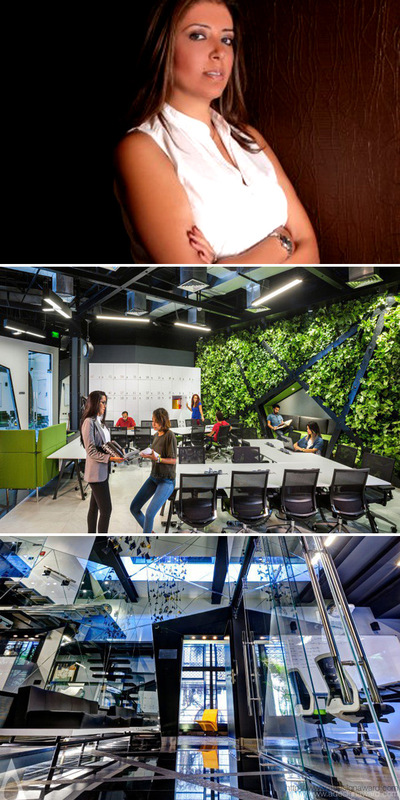 The Trend Micro office needed its aesthetic design to fulfil its mission to positively influence youth," she noted. According to her, the design elements of the office include the use of broken lines and the manipulation of space to create a futuristic working and studying environment. The office also features a lot of glass and mirrors that have been used to augment sunlight, while a glass bridge offers a grand view of the entire office, all the way to the entrance.